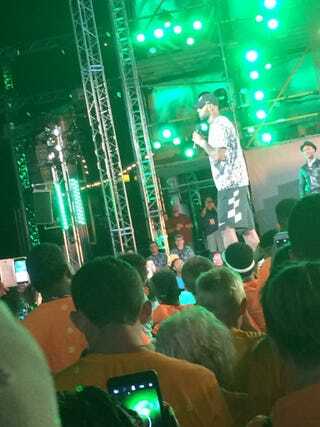 On Tuesday 5,000 lucky Akron, Ohio, kids and their families spent the day with LeBron James at the famous Cedar Point Amusement Park. Every year, as part of James' "I Promise" initiative, he treats the kids and their families to an outing through a partnership with Chase Bank. "It’s an honor to work with a wonderful, dedicated group of people who provide so much to Northeast Ohio—and we’re happy to provide a 'Best Day' experience for their program families here at the park," a park representative told TMZ. James' program offers tuition-free college education after high school to Akron-area students who excel in high school.